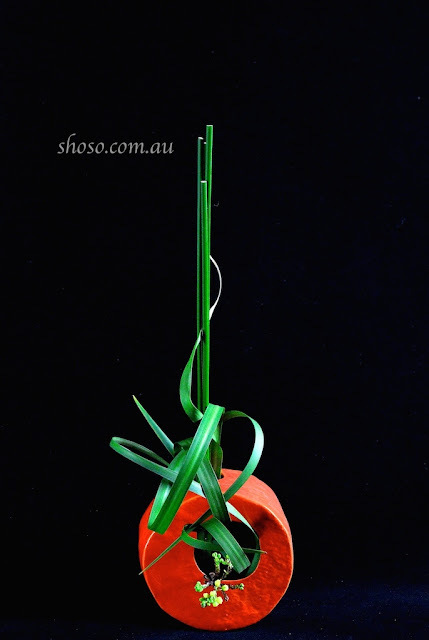 Enjoy Shoso Shimbo's works at Mondopiero. Shoso Shimbo will start a new course at Mondopiero in 2016. Learn the essence of Ikebana in 3 workshops. On arrival enjoy a glass of prosecco. Bring nothing and leave with flower arrangements worth over $150. Shoso Shimbo's home garden has been selected as one of the final ten in the group of local gardens to be photographed by leading Australian Photographer Ponch Hawkes. 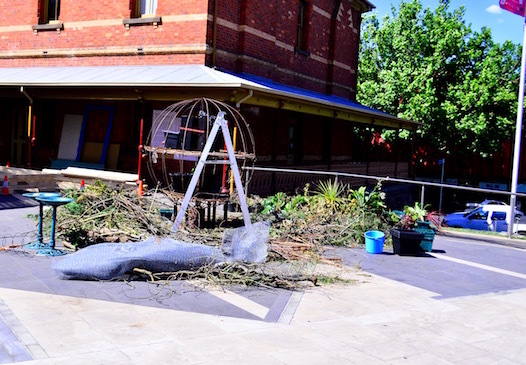 The photograph of our garden will be included in the Sanctuary exhibition to be staged at Glen Eira City Council Gallery from 4 March – 10 April 2016. It seems to me that Art in Postmodernism gives more importance to meaning than to beauty. The meaning Postmodern artists seek seems to be about relatively narrow issues, mainly about Modernism in art. Modern Art was a huge movement and so influential. Postmodern Art aims to go beyond Modernism. However, I am not personally convinced that Postmodern Art has achieved that. In any case, the important issue for the contemporary artist is to make his or her work meaningful in the context of Postmodern Art. How can we achieve that? You may be able to guess from my discussion above. Make comments on Modernism through your work. That sounds so easy but it's actually very hard to achieve. I hope to talk more about how we can do that. Also I would like to think about whether Ikebana can deal with the same issue. I would like to show you a new Japanese zen garden I designed for Komeyui restaurant in Port Melbourne this month. 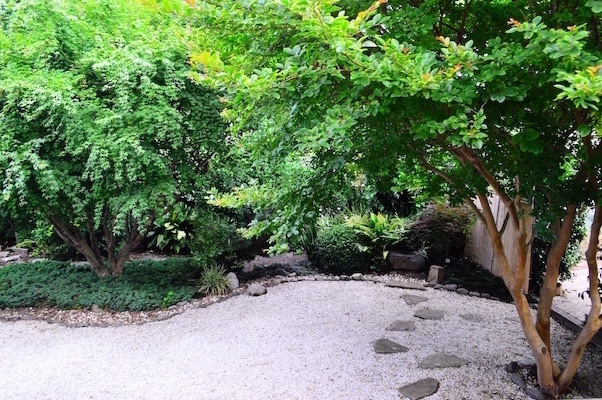 In my Japanese aesthetics class at RMIT university, one student asked me whether she can see in Melbourne a garden similar to the rock garden at Ryoanji. My answer was, “Go to Komeyui to see the garden I designed.” I hope you will have a chance to see it. Pleased enjoy our exhibition in 6 min. Finally, it's over. While I was working to break down my installation, I noticed that many birds were looking at me. I left some food for them. 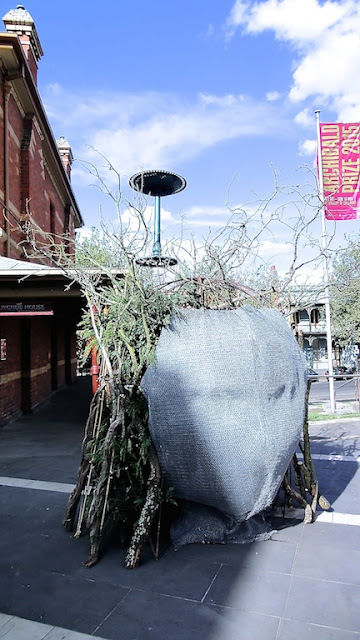 I have been asked to create another installation for Ballarat Begonia Festival next year. I am pleased to know that my work was so popular! Thank you many people I met in Ballarat for great support and encouragement. 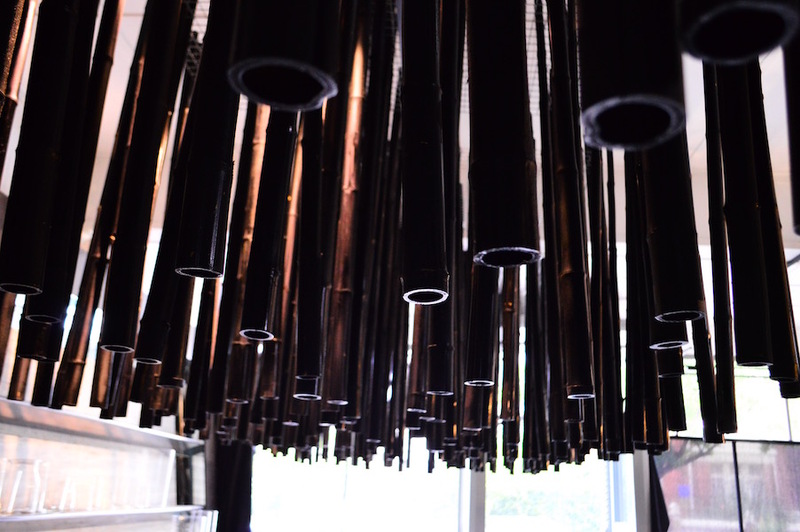 If you would like to hire this metal framework, please concat Shoso. I mentioned last time that the one of the crucial factors in contemporary art is “Meaning”. Of course I’m aware of that there are a number of differing opinions and criticisms. My intention is to provide a quick introduction to contemporary art, in particular for art practitioners including Ikebana artists. Contemporary art has two trends: Modernism and Post Modernism. Postmodernism became influential after the mid-20th century but the Modernism trend has not disappeared. The two trends co-exist and influence each other. Meaning is an important factor for both trends but particularly for Postmodernism. Then, what about beauty? It seems that beauty in the ordinary sense is important for Modernism but not so much for Postmodernism, which often focuses on questioning Modernism. There are some works, such as commercially designed products or floral arrangements, that are simply beautiful. However, as long as they do not convey any meaning, they probably do not belong in contemporary art. Now, the next question is what is meaning in contemporary art. This is a very complicated question but I would like to answer it in a simplest possible way in the next issues. This is a work I made for Hanabishi restaurant, one of the top Japanese restaurants in Australia. 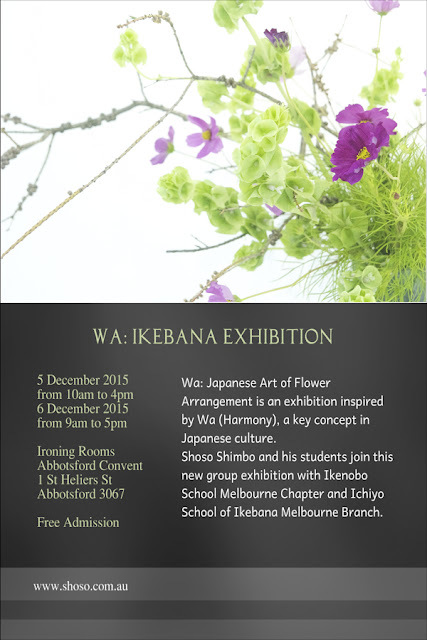 We are going to have an Ikebana exhibition at Abbotsford Convent on 5 & 6 December 2015 with the Ikenobo School in Melbourne. Hope you will come and visit the exhibition to see our students’ works. Visit my site for the details. Please use icons below to forward this poster by email or share it to Facebook. 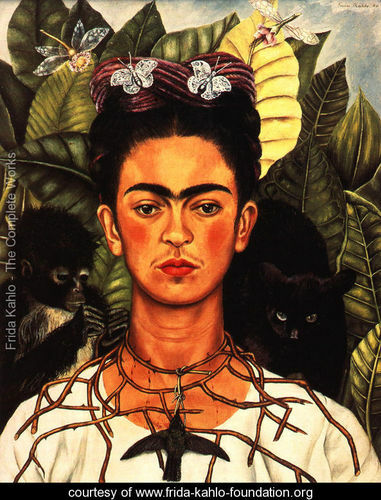 My original inspiration come from Self Portraits by Frida Kahlo (1907-1954). In her works Frida herself is in the midst of lush green foliage, flowers, birds and monkeys. It seems to me that the forest behind her represents an ideal state of spiritual freedom that is in contrast to her physically tormented reality. The role of nature in these works resonated for me as I am always interested in the relationship between humans and the natural world. 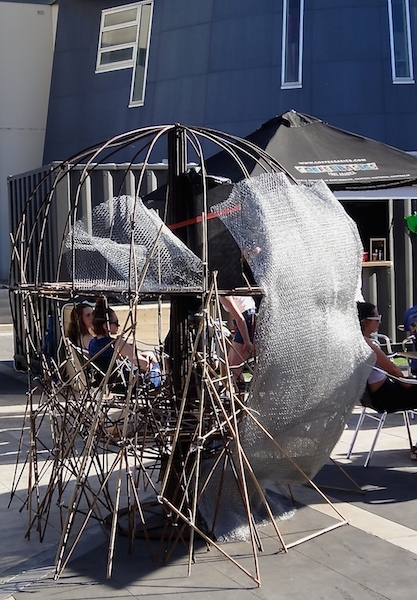 I chose chicken wire to create a head, which in some ways resembles a cage. The chicken wire as well as the metal frame within creates a separation between the inner space and the unlimited freedom outside the work. Are we restricted by the reality of our physical being or can we allow our imagination to take us outside our cages and into the forest of our spirituality? In the back of my mind I also had some images of refugees who are sometimes kept in cage like circumstances, dreaming of the freedom that lies outside the cage. 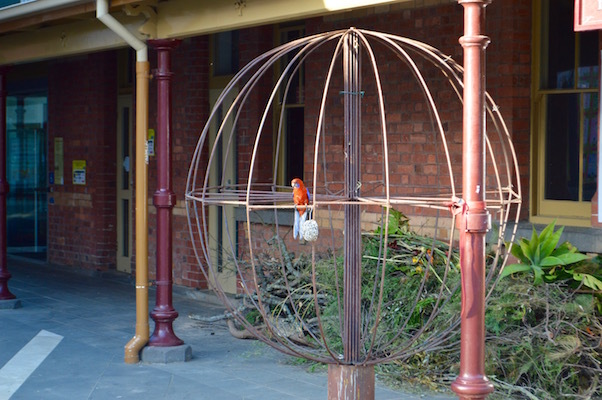 Although birds are usually kept inside a wire cage, you may see them enjoying themselves outside the cage in this work. Contemporary art is hard to understand, particularly for the Japanese. We are not very well informed about it. I’d like to talk about a few things that made me so surprised when I studied art. First, contemporary art is specifically about contemporary society and culture. It is different from art in general. This maybe just common sense for some but rather unexpected for others. Next, what is necessary in contemporary art? Is it beauty? I thought it was. But it isn’t. Beauty is important, but not necessary in contemporary art. This seems to be a point that Japanese people in general find very hard to understand. Takashi Murakami, a well known international artist, insists in his books, that many Japanese people don’t understand what contemporary art is. I don’t intend to explain in details as Murakami did, but would like to offer a quick guide to contemporary art. The crucial factor in contemporary art is meaning. If the artefact does not produce any meanings, it is not valued as art even if it is beautiful. I’ll explain a bit more about this aspect in the next issues. I used some of flowers from my garden in this work. Japanese quince and lily of the valley bush are among my favourites. 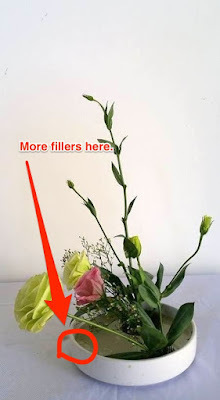 By arranging flowers they grow, Ikebana artists enjoy the flower twice. I’ll spend half of October in Ballarat to create a large artwork for the Archibald exhibition at the gallery. 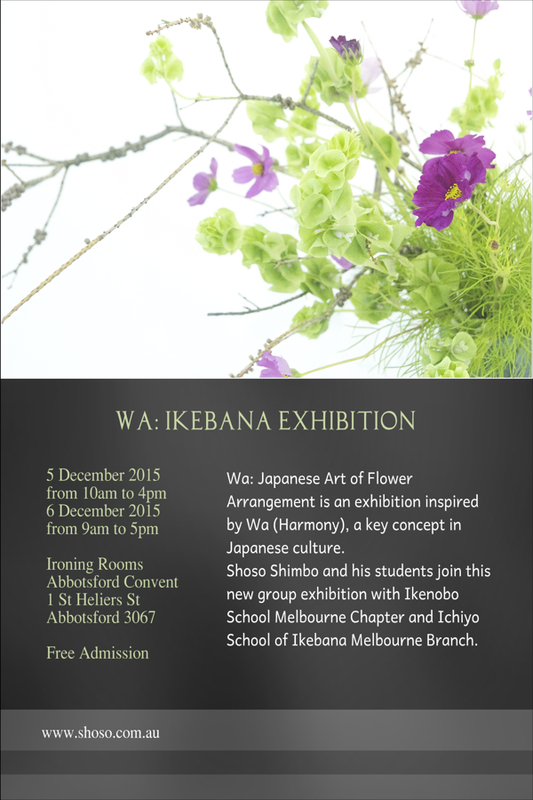 We are also planning to have an Ikebana exhibition at Abbotsford Convent on 5 & 6 December. Please visit my site for the details. Here is another sample of feedback. 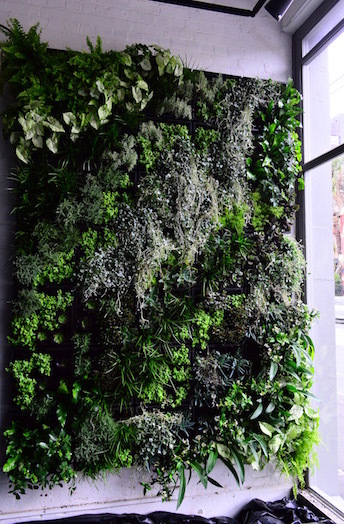 Comment: Another good work. Well Done. But your work looks somehow weak. Try to use branches rather than flower stems for the 1st and the 2nd main branches. Then, your work would look stronger. Keep it up. Considering the relationship between ikebana and contemporary art, we need to first clarify what the contemporary art is. I found it so hard to understand even after the completion of my Master of Fine Art. During the course, I found two things. First, many people in the art world don’t understand how difficult contemporary art is for the general public. Very few of them are willing to communicate with the general public to make art accessible. Next, I found that the key to understand contemporary art is in its history, particularly its 20th century history. Terry Barrett’s “Why is That Art?” (2012) is an excellent introduction to contemporary art elaborating the four major approaches: realism, expressionism, formalism and postmodernism. However, even that book may be too complicated for the people who are outside the art world. A simpler explanation would be useful for the the people who are frustrated with “nonsense" art woks in the galleries. I think that the first step to understand contemporary art is to recognise two major approaches in it: modernism and postmodernism. Let me explain the super complicated postmodernism in a super simplified way in next issues. This is the work I created from my garden waste. The form of the glass container makes it hard to fix flowers using the down stick method. I have been commissioned to create a large artwork for the Archibold award exhibition at the Gallery of Ballarat in October 2015. Representational art is a new and big challenge for me. 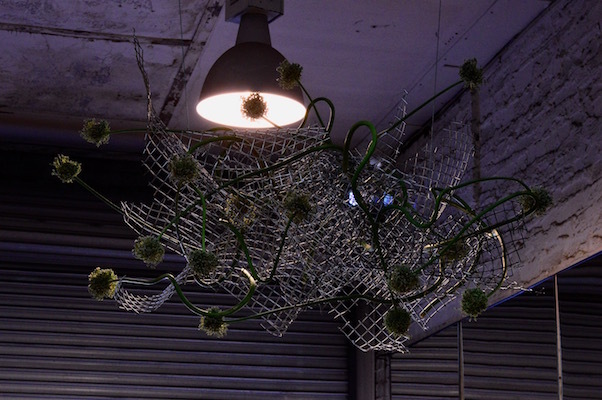 The students were asked to add another material (including flower) to the branch sculpture they created week before, creating contrast within the work. Our students analysed works by Andy Goldsworthy and Hiroshi Teshigahara, and created their own works using branches on the fifth week. This class will take participants on a journey to explore the theory of Japanese aesthetics through practical exercises. The volume and position of Japanese Mahonia is crucial in this work. Its yellow buds function to emphasise the dominant vertical movement without disturbing the movements of the curved leaves. The yellow dots also correspond to the four tops of the green stems cut sharply. The essence of traditional Rikka style was appropriated in this contemporary design. LOOKING FOR SOMETHING SPECIAL FOR A HEN’S PARTY? A recent client hired a function room at a cafe and combined an Ikebana Workshop with Afternoon Tea to celebrate her Hen’s Party. Everybody there thought it was so relaxing and a great idea which they thoroughly enjoyed. 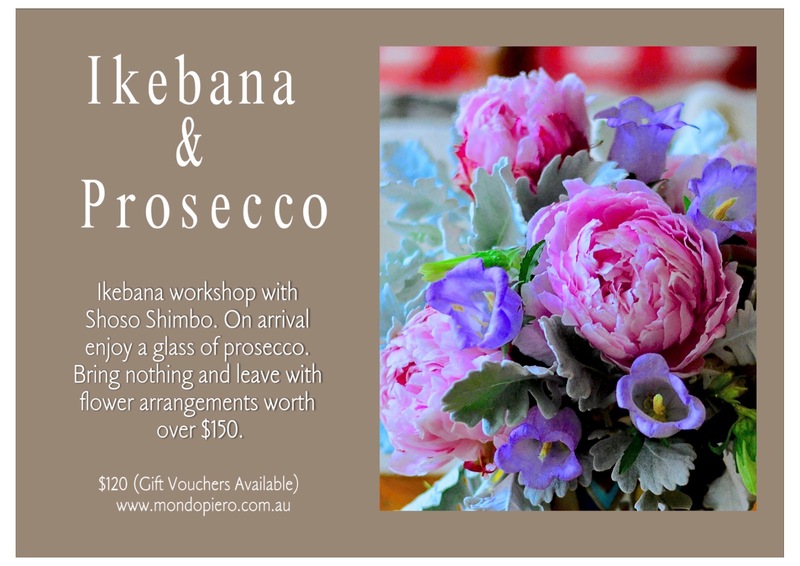 So, if you are looking for something different for a Hen’s Party, contact Shoso Shimbo and he can show you some examples of his work with flowers and how to find relaxation and create a warm and vital atmosphere among the participants which will help lead to a memorable wedding. history of Ikebana, the history of art seems to be so chaotic. comprehend. Why do they have to be like that? Maybe because they are talking about something they don't really understand? for free online. Lastly, please check the results of the Ikebana Gallery Award 2015 in my site. Free Ikebana Calendar to download. I have been talking about what Ikebana is and came to a conclusion last month. Our next question is “Is Ikebana Art?” To answer that question, first we have to make it clear what art is. But that is a very difficult question. Not many people can give a clear and concise answer, because there are so many definitions of art. All I can do is to give my own answer. I’ll give my conclusions first. Is Ikebana art? There are some artistic factors in it. Is Ikebana contemporary art? Over 99% of Ikebana is not contemporary art. With regards to Ikebana and art there are a couple of notable points. First, it was proposed that Ikebana is an art form in the influential New Ikebana Declaration in 1930’s. Among many Ikebana artists who were influenced by this declaration are the head masters of the Sogetsu and Ohara schools that developed significantly after the war. Arguing that Ikebana is art helped them gain many new students. What did they mean by art at that time? Next, Ikebana has been influenced by Western art since the Meiji restoration. How about now? Can Ikebana be part of contemporary art? What is contemporary art anyway? We need to know certain basic things to understand what contemporary art is. We will think about all those issues from now on. 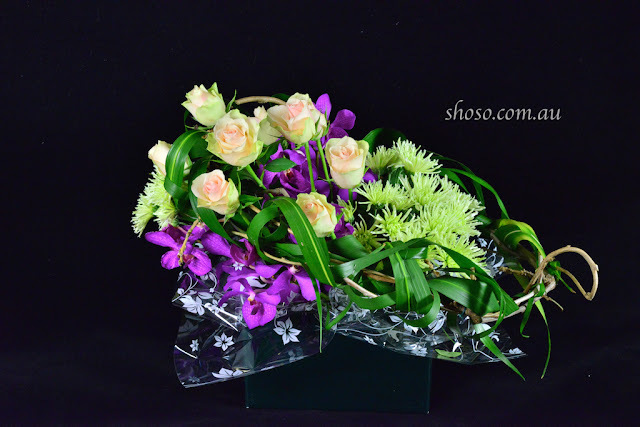 The work I show this month is a commercial boxed flower that is not too expensive and easy to carry. Can we make such an Ikebana work? Not many Ikebana artists have researched this aspect. I have been discussing the meaning of the term, ikebana. 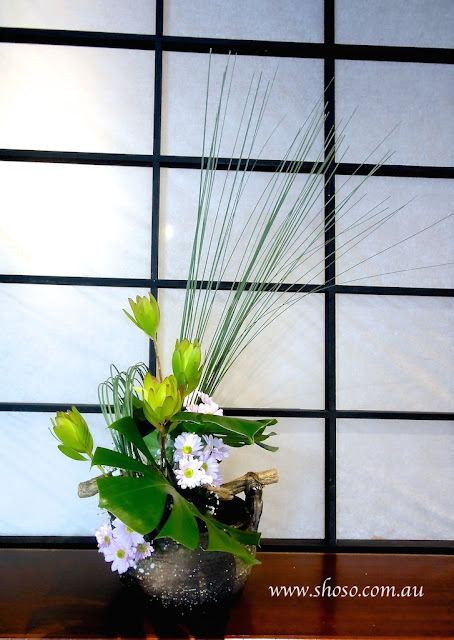 It is a style of Ikebana developed in the Muromachi period, while Ikebana (with a Capital I) is the general term to encompass all styles of Japanese flower arrangement. 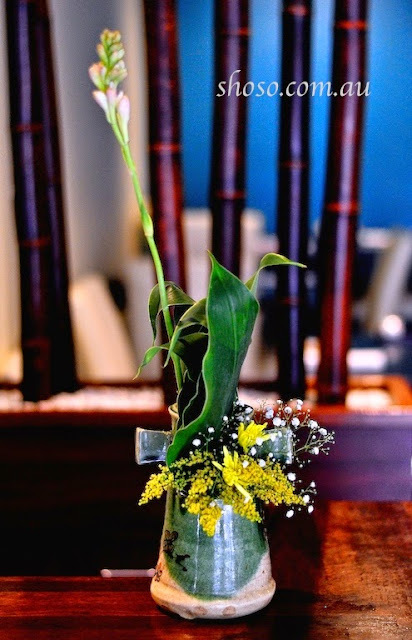 It is proposed that the original meaning of ikebana as well as Ikebana is to give a new life to a flower. Arranging flowers is like a ritual that gives new life to the dead cut flower. Ikebana may be comparable to a rite of passage. In Japan, births, marriages, coming of age and funerals are all rites of passage that signify the death of old self and rebirth of a new self. It is important to realise that the cut flower as material for Ikebana and a flower as Ikebana work are completely different. Arranging flowers may be like conducting a funeral or a marriage. In any case, that is how I define Ikebana. This is my work, Heart, that I exhibited for the Melbourne International Flower and Garden Show in 2015. It may look simple but it was very hard to make, taking us 3 days to complete. Please visit my site to see a You Tube video of our works at the show. I’m pleased that some of my students also participated in the show. 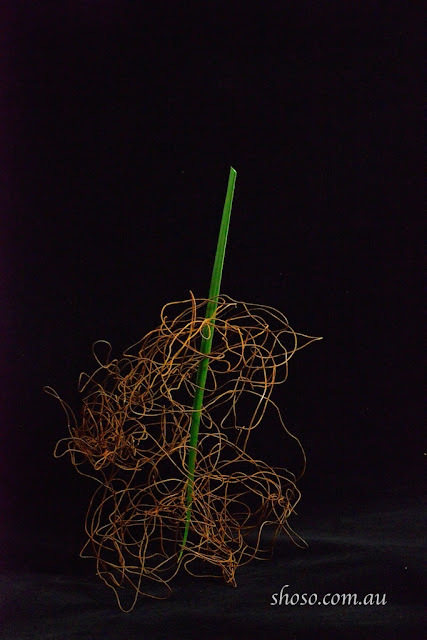 My course, Japanese Aesthetics: Ikebana to Contemporary Art at RMIT University will start again in July this year. Three Ikebana papers of mine were published this month, including “Ikebana in English: Bibliographical Essay” in the International Journal of Ikebana Studies, Vol.2. Please visit my site for the details. 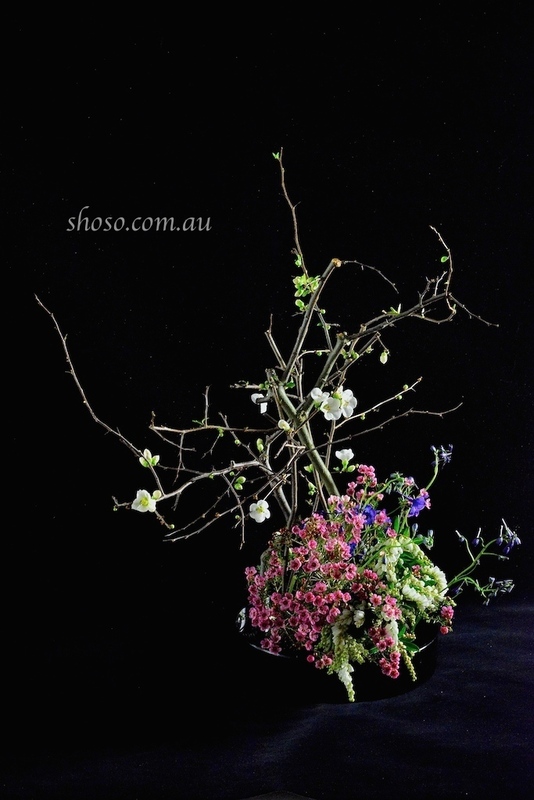 Shoso Shimbo will again teach "Japanese Aesthetics: From Ikebana to Contemporary Art" at School of Architecture and Design, RMIT University from July 2015. It will be available for anyone (not just for RMIT students). This class will take participants on a journey to explore the theory of Japanese aesthetics through practical exercises. A style of Ikebana (general term), the ikebana in the Muromachi period seems to mean giving new life to the cut flower. In search of the meaning of life in the Japanese cultural tradition, we came to the issue which is at the centre of Asian philosophy. It is now clear that life means essence or Kami, the divine. A philosopher, Toshihiko Izutsu explains the issue in the simplest way in his great book, “Consciousness and Essence” (1983), using flower as an example. He notes a comment by Fugan, a Chinese zen monk, “Seeing a flower is for many people seeing it in their dream”. What is really happening is that a person sees a flower as a substance, which is in tact a false image. If people realise that nothing has its substance, the whole universe would be chaos. The Asia philosophy gives a new order to the chaos. Flower as well as everything else is reborn as non-substantial entity. One is all. All is one. It can be seen as a mystic or religious perception of the world. I think I had better stop here, because I never have experienced it, a kind of enlightenment at the profound level. Anyhow, the term, ikebana has such a philosophical context behind it. 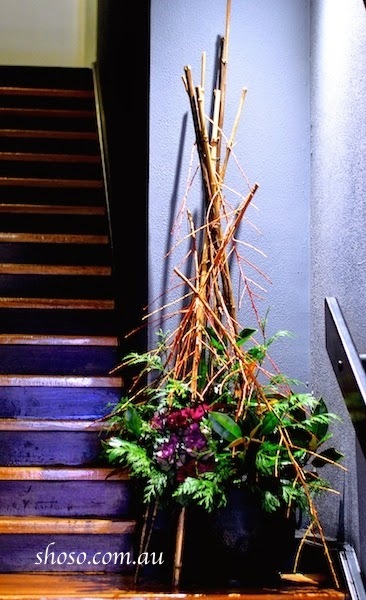 In short, ikebana means to give flower new life, reviving it as non-substantial entity. This understanding actually gives freedom to interpret ikebana in many ways. We will look at how we could interpret ikebana in the next issues. The image is my work for Hanabishi restaurant. Because I took the photo immediately after arranging flower, the colours of flowers are not so obvious. Once the flowers start to open, the arrangement looks different very day. I sometime notice that not many Japanese restaurants in Melbourne display Ikebana. Some restaurants display the western arrangements. I think Ikebana would be a better and cheaper option. Please contact me for a free quote. 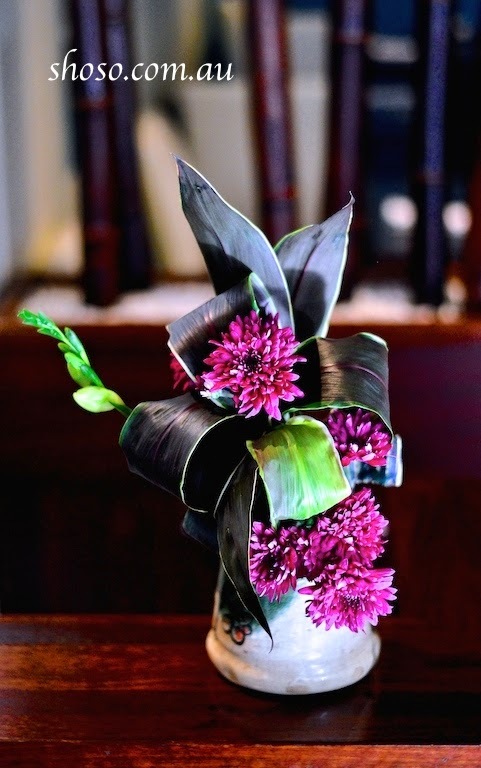 It seems that in the Muromachi period, some argued that, unlike tatehana, ikebana was used to revive or give new life to the flower. Obviously, many people seem to have understood that message instantly. 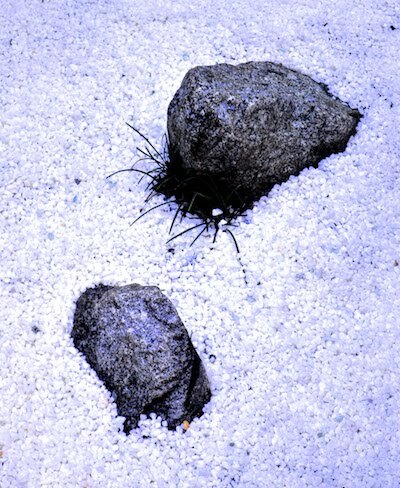 What did the word, Ikasu or giving new life mean to them? Probably the best way to investigate that is to look into the documents written around that time and define how the term, Iku or Sei (life) was used. However, my intention is to propose a hypothesis that could encourage discussion rather than conducting an empirical study. Hideo Kobayashi has argued that in Shiki Masaoka’s approach in poetry Sei means essence or even Kami (the divine). If you can express Sei in language, you can create poetry. 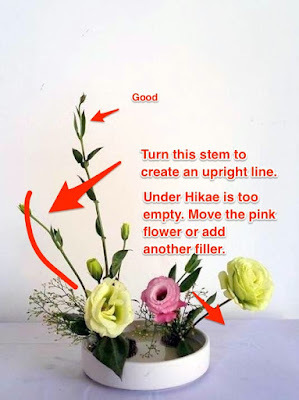 If you can give Sei to the cut flower, you can create ikebana. Both poetry and ikebana are looking at the same issue that is at the centre of Asian philosophy. 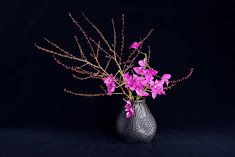 It is fascinating for me to look into ikebana and its meaning in terms of Asian philosophy. However, such a complicated topic does not seem to be in fashion today even in the academic fields. I may discuss this issue in much more simplified fashion in the next issues. This is a table arrangement for a round table. The design is more like a Western arrangement. As this was for a home party on the Australia Day, the main flowers are Banksia, expressing natural movement. For the background, I chose green and yellow, Australian colours. I am now going to be a regular contributor for LIVING NOW magazine. I hope you will enjoy my articles on Ikebana in that magazine as well. Shoso's new article, "Ikebana in English: Bibliographical Essay" is published. "English language literature on Ikebana, particularly academic publications, is scarce. However, a small number of non-academic publications such as introductory books or articles and collected works of artists have been constantly published for over the last fifty years. Consequently, even in generating research questions, Ikebana researchers in the West sometimes have to rely on non-academic publications which may represent the viewpoint of just a single Ikebana school. And even in academic publications, it is not unusual to encounter mystic discourses on Ikebana or legends unsupported by historical records. This short essay is not an attempt to rectify those misunderstandings on Ikebana. Neither is it a comprehensive bibliography on Ikebana. My aim, rather, is to present a basic reference point for future research on Ikebana. It also hope to suggest areas for further research". 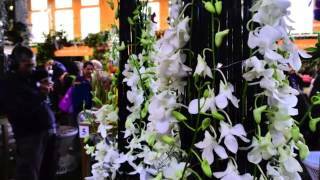 Melbourne International Flower and Garden Show will open on 24 March 2015. Shoso and three of his students, Shoan (Angeline), Risa and Akemi will exhibit their works. Thank you very much Jo, Shoan, Tian & Shosai (Jennie S.) for great help set up my work over the three days from 22 to 24 March. Especially the last day all of you worked so hard without any break. I am so grateful to have such a skilful team but I will encourage more people to join our team next time. I'll write more about the show in another post soon.